Essential information, useful tips and frequently asked questions. 1. Make sure the binding plastic coil or wire is the correct size for the number of pages in your document. How do you know what size to use? 2. How can I help keep the front cover looking professional and also not get finger marks, scratches or copier powder/dust? You need a better solution than the clear gloss PVC covers that are often still used in New Zealand. 5. Binding machine slow or breaks down? New staff not sure how to use it / use it efficiently.... Want to get it repaired or serviced to reduce the time staff spend binding ? 6. You need ring binders (folders) but are not sure what size for the number of pages, or why they come in 2,3 or 4 rings. ( Don't forget a set of 1-10 card dividers equals approx 30 pages! ) Want to know how to make your binders look better and more user friendly. 7. Legal and contractual documents require signing? A simple and convenient way to make sure documents come back to the office signed in the right place(s) saving you time and effort in arranging another signing. 8. Want to make your documents quick and easy to navigate and still look professional? Avoid wastage with Indices/dividers. Do you end up using half or 2/3 of sets of indices e.g. you use tabs 1-19 of a set of 1-31 indices and throw the rest away? There is a better alternative. 9. Is it important to you how your documents look when received by your clients - not just how they look when they leave your office? Make sure your important documents don’t get crushed or bent in transit or during your conference or training course. 10. 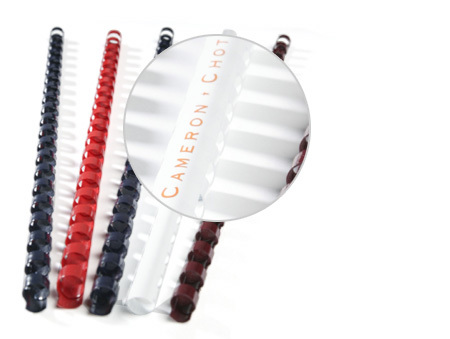 How can ring binders or conference packs be customised to meet your individual needs? 1. Make sue the binding plastic coil or wire is the correct size for the number of pages in your document? How do you know what size to use? 2. How can I keep the front cover looking professional and also not get finger marks, scratches or copier powder/dust? You need a better solution than the clear gloss PVC covers that are often still used in New Zealand? Most of our clients now use the Frosted (opaque) Covers to protect the front of their document. Unlike the old styled clear glossy transparencies look alike, (Note:Beware Actual Transparencies are very likely to jam your binder), the Frosted Covers don't show finger marks, scratches or the copier powder dust. This helps your doument maintain its smart professional look longer, while still clearly showing the printing on your cover page. 3. Not sure how to use the binding machine? Here’s some useful tips, advice and pitfalls to avoid..
Firstly - remember all those little bits of 'confetti' go somewhere! Don't forget to empty the tray by sliding it out from the back/front or side depending on which model you have. Manual plastic or wire binders - Most manual binders, where you pull a handle to punch the holes in the paper, will only punch 10-12 pages at a time - or 2 frosted or cardboard Covers. Modern electric machines will punch from 15 - 22 pages at a time. Never punch more than 2 PVC sheets at a time. If binding thin or very thick documents you may want to alter the Margin control setting – this moves where the holes will be punched e.g.close to the edge for small 6mm or 8mm coils, so when the document is opened flat the pages lie flat. Alter before you punch, especially for very small or very large documents. When putting the pages onto the coils, best to handle no more than about 50 pages at a time. Flush the pages by tapping down onto a flat surface, then it is EASIER if you lower them vertically onto the opened coil. The coils should be open so that the fingers point horizontally away from you. If you need some inhouse training on how to use the different binders quickly and easily, and make your documents look great send us an email to arrange. 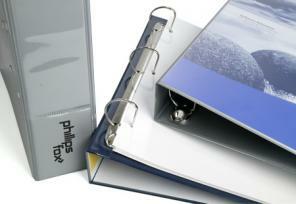 Wire binding can be supplied in exactly your corporate colour. At the very least, make sure your card front and back covers match or compliment your corporate colours. 5. Binding machine slow or breaks down? New staff not sure how to use it / use it efficiently... want to get it repaired or serviced to reduce the time staff spend binding? 6. You need ringbinders (folders) but are not sure what size for the number of pages, or why they come in 2, 3 or 4 rings. (Don't forget a set of 1-10 card dividers equals approx 30 pages!) Want to know how to make your binders look better and more user friendly? Larger documents - no matter if they are 100 or 600 pages can still portray a Professional Image AND be easy to work with. If the Ring Binder is going to travel (e.g. sales persons car) or be referred to a lot, 3 or 4 ring metals will hold the pages firmer, and less movement equals reduced wear of page holes, which prevents tearing. Xlarge (Leverarch) 70mm - up to 600 pages. - therefore 1-20 indices equals 60 standard 80gsm pages. Another idea rapidly gaining in popularity for large documents, is for your copier to reduce them to A5. We can then supply A5 ringbinders and indices, making the documents easier to handle, transport and taking up less valuable and expensive storage space. 7. Legal and Contractual documents require signing? A simple and convenient way to make sure documents come back to the office signed in the right place(s), saving your time and effort in arranging another signing. The Sign Here Redi-Tag range - printed, reusable arrow tags that highlight the following required action: Sign Here, Sign & Return, Sign & Date, Please Initial. 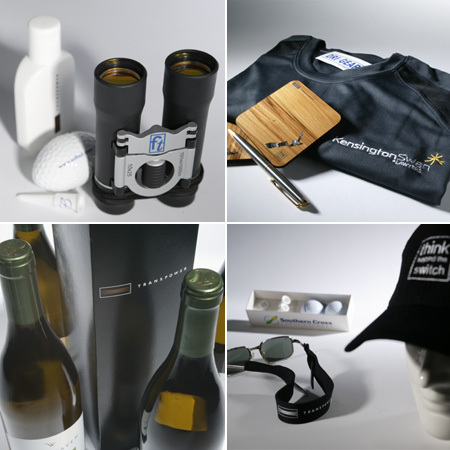 These can also be produced with your special wording and your company logo. A number of innovative options now available in NZ including our Laser Tab range where you print off exactly the wording you require onto indice tabs from your own PC/printer. We also have available ex stock a wide range of A4 and A5 indices that can be delivered same day or overnight. 9. Is it important to you how your documents look when received by your clients, not just how they look when they leave your office? Make sure your important documents don’t get crushed or bent in transit or during your conference or training course. A couple of simple tricks include plastic coil bound documents being placed in an envelope for postage, coil bound edge first - the coil does not get crushed when the envelope is franked or the stamp postmarked. 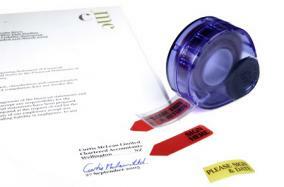 Placing a rigid piece of A4+ card (400-600gsm) in an envelope or courier pack helps prevent damage to your document. For both protection and presentation of important documents please talk to us about our extensive Data Case range for all bound documents, ringbinders, disks etc. Note: Lamination of important documents both protects them from wear and tear, tampering, UV fading and moisture as well as enhancing the crispness and richness of the colours. With 18 years experience and innovative ideas from within NZ and overseas, there are many options for helping improve both the professional look, feel and ease of functionality of your binders or conference packs. For a conference environment it is useful to have an external pocket or ID tag on conference binders/satchels, where attendees can place their own name/business card - preventing a mix up of materials with others. If binders must have a clear front and spine overlay, then using a matt opaque finish adds a look of quality. Likewise extra foam padding in the front and/or back covers adds a feel of quality. Often presentation binders are from at least two people within an organisation, hence two business card pockets inside (and if relevant, a pen loop). Much depends on your target market and individual requirements. Please feel free to contact us to discuss. Your gift is well received and creates a positive, not negative, impression and that you get maximum return for your marketing dollars invested. If you are printing or embroidering your company logo on to an item, ensure the quality is such that it will still look professional in 6-12 months. Xmas gifts – what do you want to achieve? i.e. give a bottle of wine and it will get lost in the ‘crowd’; put it in a presentation box and it will stand out as quality and you get some ‘brand’ mileage for your marketing dollar. Better to give a quality and well thought out gift that clients or staff appreciate, than a gift that they think 'another one' or put straight in their bottom drawer. It is vitally important to consider not just what you like or what has been done before when choosing gifts or items of clothing. Who the recipient will be, what environment it will be given and what the objective of the whole exercise is, are all things to be taken into account. A simple example of this would be giving overseas delegates, speakers or visitors heavy, bulky or sharp objects (the engraved letter opener or swiss army knife etc. are obviously no longer acceptable on aircraft) which may turn your gift into a negative association with your company. There are dozens of similar mistakes we can help prevent you and your organisation from making. Ask us for innovative ideas relative to your target market and objective. Plan early – reduces stress for you and us!